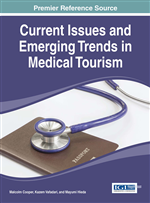 This chapter outlines some of the practice and assesses the status of medical tourism in the Americas. A selection of countries as case studies is all that is possible in relation to this huge origin and destination market, but the chapter covers the main issues and trends. Perhaps the best place to begin is with the USA, given that it can be characterized as the country that, through its selective and highly expensive approach to medicine, and its relatively unhealthy though rich population, has probably contributed most in recent years to the rise of international travel for medical reasons. But first, some general observations and statistics relating to the region as a whole are discussed. This chapter outlines some of the practices and assesses the status of medical tourism in the Americas. Perhaps the best place to begin is with the USA, given that it can be characterized as the country that, through its selective and highly expensive approach to medicine, and its relatively unhealthy though rich population, has probably contributed most in recent years to the rise of international travel for medical reasons. A recent analysis put a cost on the outflow of patients from that country to the rest of the world at about 15 billion dollars per year (The Guardian, 2014). The loss of revenue is not lost on American healthcare providers, and is beginning to lead to increased efforts to retain patients at least as domestic medical tourists. This trend is discussed in this chapter, but first, some general observations and statistics relating to the region as a whole are discussed. Patients beyond Borders (PBB) defines a medical traveler as anyone who travels across international borders for the purpose of receiving medical care (Patients beyond Borders, 2011). But in reality determining the size of the medical tourism market is challenging even in relation to sophisticated, data rich countries such as the USA, as estimates and forecasts vary widely. These disparities arise from inconsistencies in defining medical travel and a lack of verifiable data at the country level. The PBB definition does not count in-country expatriates, tourists in need of emergency medical care, companions accompanying medical travelers, or multiple patient episodes that occur over the course of one medical visit (Patients beyond Borders, 2011). However, using their framework the market size of world medical tourism can be estimated at USD 38.5-55 billion, based on approximately eleven million cross-border patients worldwide, spending an average of USD 3,500-15,000 per visit, including all medically-related costs, cross-border and local transport, inpatient stay and accommodation fees. Within this, PBB estimates that some 1,200,000 Americans will travel outside the US for medical care in 2014 (Patients beyond Borders, 2014). In addition, because the world’s population is aging and becoming more affluent at rates that surpass the ability of local quality healthcare resources to service their needs, the international market for these services must expand further. Furthermore, the out-of-pocket (i.e., not covered by medical insurance) costs of critical and elective medical procedures alike continues to rise as Governments and private health insurance funds restrict their coverage. These costs are also placing an ever-increasing fiscal resource burden on nations offering universal health care, leading to reductions in coverage for whole groups of the population, requiring co-payments, and/or reducing payments for particular treatments. These drivers are forcing patients to pursue cross-border healthcare options, either to save money or to avoid long delays in treatment. PBB, for example, estimates the worldwide medical tourism market to be growing at a rate of 15-25% per year, with rates of growth highest in North, Southeast and South Asia (Woodman, 2014). This situation is thrown into stark relief by a comparison of the savings in the costs of treatment between destination markets and the USA medical system (Table 1). Two of these destinations are locally favored by USA medical tourists (Mexico and Costa Rica), and the others receive patients from both Canada and the US. Source: Patients beyond Borders, 2014.